A successful model who has worked for some of the biggest names in beauty, fashion and lingerie, was left with more than 90 bed bug bites on her body after a stay in a high-end hotel. She had to take a two-month break from modeling, and is now suing the hotel chain. 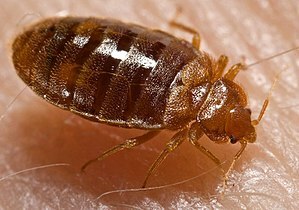 Another person, who was bitten by bed bugs in the same hotel, has also filed suit. 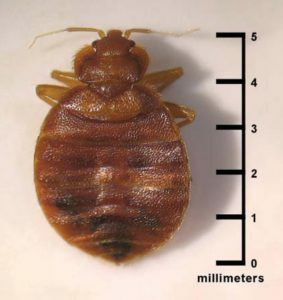 We all know that some hotels have bed bug problems from time to time, and we would hope that hotel management would take aggressive action to eradicate these pests. However, this case gets even more interesting after a local television news station recently performed an investigation. Investigators from the news station went back to this same hotel and rented a room. While there, they sprayed the bed linens with a special spray that can only be seen under a black light. A day later, another person from the news station rented the same room. And, after checking the bed with a blacklight, they found that the pillow cases had not been changed. Would you want to sleep on that same used pillow case? What do you think would happen to you if the person who previously slept there had headlice, or if there were bed bugs in the room? The television news crew also investigated three other hotels and found similar instances where bed sheets and pillow cases were not changed, dirty towels were picked up off the floor and hung back on the towel rack, and even used drinking cups were put back for the next guest to use. That’s gross! Is this hotel’s bed bug problem just a coincidence? If you don’t think so, I’d understand.